Hyundai released details of the new i30 model ahead of its full unveil at the Frankfurt Motor Show. With design inspired by the manufacturers latest addition to the line-up, the i40, the latest iteration of the i30 gets sharper and sportier looks and continues the company's 'fluidic sculpture' design language, apparently. Compared to its predecessor the side profile gets a much stronger look with a noticeable line running from the front wheel arch to the rear lights. The hexagonal front grille, seen on other models like the ix20 and ix35, is prominent while it also gets more angled LED running lights that give the car a more premium appearance. It's not just the exterior that has been given a lift. 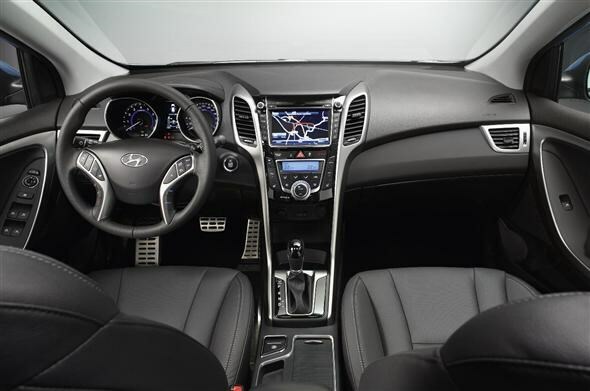 Inside the new i30 gets the more polished look as seen in the i40. There's also more space on offer inside the car and boot space has risen to 378 litres, up from 340 litres. Buyers can expect the same high levels of kit as before, with additions like panoramic sunroof set to be available even on the mid-level trims. If things continue from the new i40, potential customers could also see a better finish to interior finishes. There are currently no details on engines yet, but there's likely to be an i30 Blue model on offer with emissions of less than 100g/km so that the car can compete with the likes of the Ford Focus Econetic and Vauxhall Astra EcoFlex. 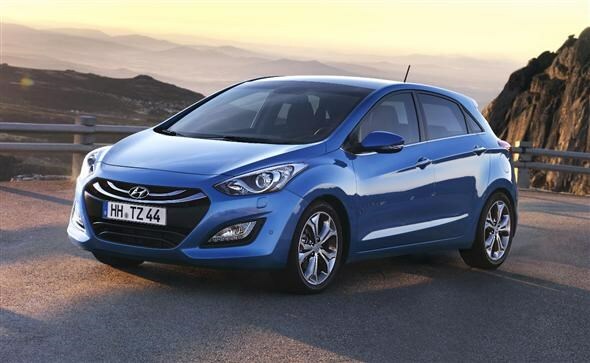 This latest version of the i30, available purely as a five-door model on launch, will go on sale during the first quarter of 2012. Prices are expected to start at around £14,000 for the entry petrol model.